The Abnormal Psychology Option in IB Psychology is one of the optional topics and is assessed in the Paper 2 SL and HL examinations. Just Give Me the Answers! is the ultimate guide to answering the Abnormal Psychology extended response essay questions and is your ultimate advantage when it comes to sitting the Paper 2 IB Psychology examination. All possible Abnormal Psychology examination questions have been covered with a model answer personally prepared by Derek Burton. Each model answer is guaranteed to be awarded the full 22 marks if the student can reproduce it in the examination. In IB Psychology, Abnormal Psychology is the branch of psychology that deals with studying, explaining and treating 'abnormal' behaviour. Although there is obviously a great deal of behaviour that could be considered abnormal, this branch of psychology deals mostly with that which is addressed in a clinical context. In effect, this means a range of behaviours, emotions and thinking that tend to result in an individual seeing a health professional, such as a psychiatrist or a clinical psychologist. Abnormal psychology attracts researchers who investigate the causes of abnormal behaviour and try to find the most effective treatments for them, whether these involve medication or a talking cure (therapy) or a combination. There are also practitioners , psychologists that use their knowledge of theory and research to deliver treatment to people in a therapeutic setting. Defining these groups of disorders is straight forward because of the diagnostic systems available, but there is considerable disagreement about the validity of the distinctions between normal and abnormal behaviour. The teaching and learning resources here and model essay answers focus just one affective disorder (major depression) and one eating disorder (bulimia nervosa). It is best teaching practice in IB Abnormal Psychology to focus on two disorders. 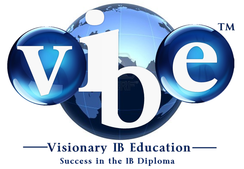 By concentrating on these two areas we maximise the available time to teach, study, learn and prepare for the IB Psychology examinations without compromising the student in any way whatsoever when it comes to exams. There is a lot to understand, learn and memorise for your IB examinations in the Abnormal Psychology Option within the course. There are 12 different learning outcomes, all of which are exact matches for exam questions and any of these could be asked in the exam as an extended response questions (22 marks). Discuss cultural and ethical considerations in diagnosis (for example, cultural variation, and stigmatisation). Each of these IB Abnormal Psychology learning outcomes is covered in full in the members area and model extended response answers are provided in the the interactive digital book, Just Give Me the Answers! which, of course, members have full access to, and it can also be purchased as a learning and teaching resource on its own.